K9 Training Concepts' "InstaDog" is our line of fully trained Family Dogs. Our dogs come to your family completely trained so you can enjoy them the first hour they are home. InstaDog, just add family! 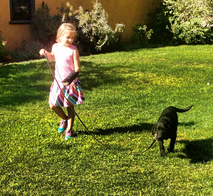 For our families with special needs, we are the exclusive provider of service dogs for The Monkey Tail Ranch. 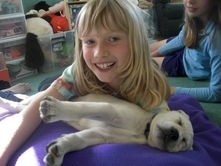 After training of the service dogs, we provide follow up training in your home with your new dog. The service dog journey is a unique process, and we look forward to discussing the benefits of a service dog. See our Service Dog page for more details. 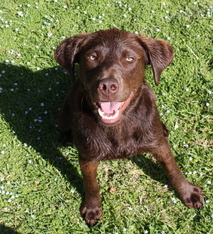 All dogs have at least 15 off-leash commands, are potty trained and chew proofed. All our dogs go home with unlimited private follow up lessons in your home. 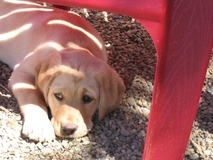 Of course, our InstaDog and Service Dog obedience is guaranteed for the life of the dog. 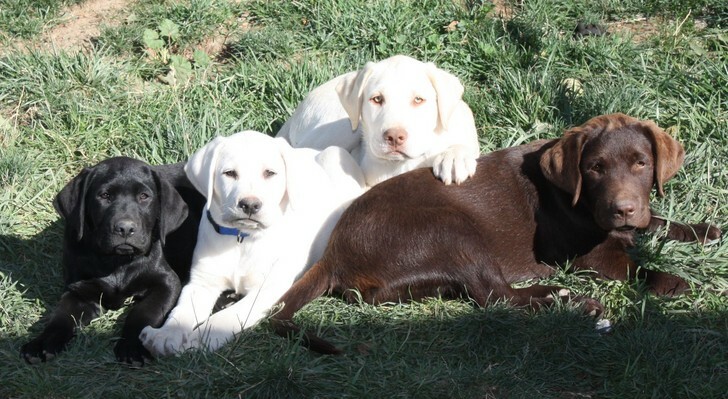 All our puppies live in our home until approximately 8-10 months of age. 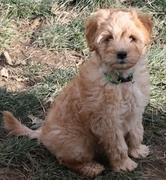 Here they become well socialized, receive all vaccinations, and are off-leash obedience trained. Clients who choose their puppy at an early age can enjoy the fun of puppy hood through play dates and visits during their time with us. InstaDogs growing up well socialized with other dogs. Families with Recently Placed "InstaDogs"
"Lucky" a mini golden-doodle and is living in San Francisco. 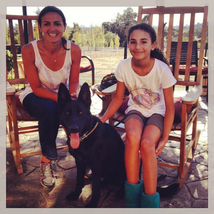 Pretzel the German Shepherd is going to live in Los Altos Hills. 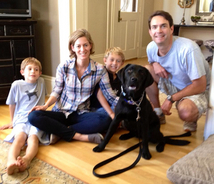 Congratulations to the Pohl family in San Francisco on their new InstaDog! “Avalanche” (Avi). Jet is living in San Francisco, gets to jog to the YMCA and cheer on his family at baseball games. 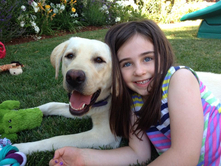 "Buddy" is in training to live with his family in Palo Alto. "Toby" lives in New Jersey and has two very active boys who wanted a dog for a long time! Jackson the doodle is living in Oakland! Kelly lives with the Grey family in Los Altos CA.